Health promotion and disease prevention encompasses a range of health concerns, including obesity, cancer, heart disease, tobacco use, and immunizations. Among these are the leading causes of death within Pinellas County, cancer and heart disease. 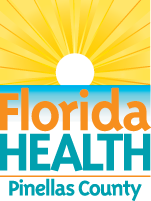 Pinellas rates of smoking remain higher than both the state rate and Healthy People 2020 goal. Similarly, Pinellas children remain under-vaccinated, putting them at greater risk for infectious disease. Goals, strategies, and objectives were developed by the Health Promotion and Disease Prevention work team participants listed below and community stakeholders.